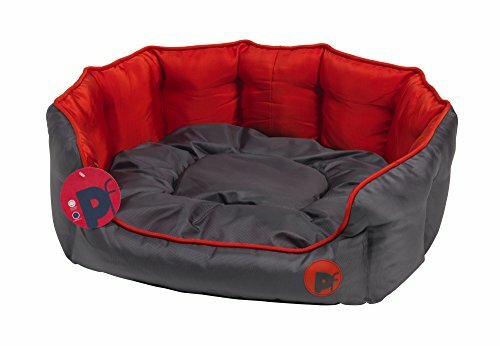 Oval Small: Bed – Width: 52cm/20.5″ x Depth: 42cm/16.5″ x Height: 22cm/9″. 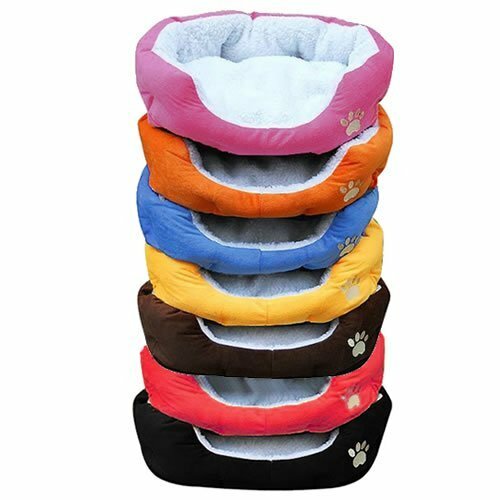 Inside cushion – Width: 50cm/20″ x Depth: 41cm/16″. Oval Medium: Bed – Width: 61cm/24″ x Depth: 53cm/21″ x Height: 22cm/9″. Inside cushion – Width: 57cm/22.5″ x Depth: 47cm/18.5″. 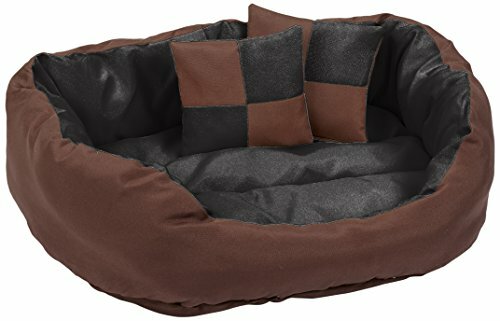 Oval Large: Bed – Width: 74cm/29″ x Depth: 61cm/24″ x Height: 23cm/9″. Inside cushion – Width: 66cm/26″ x Depth: 52cm/20.5″. 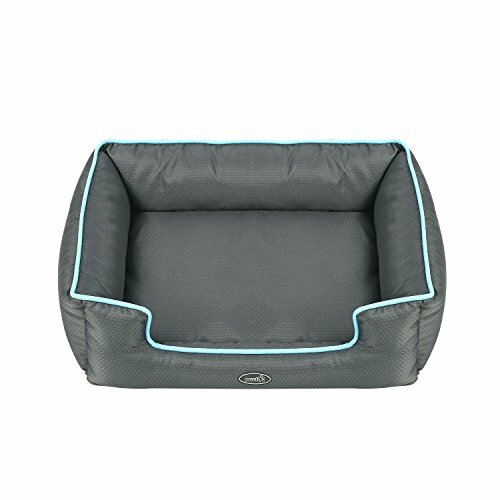 Oval XL: Bed – Width: 81cm/32″ x Depth: 69cm/27″ x Height: 23cm/9″. 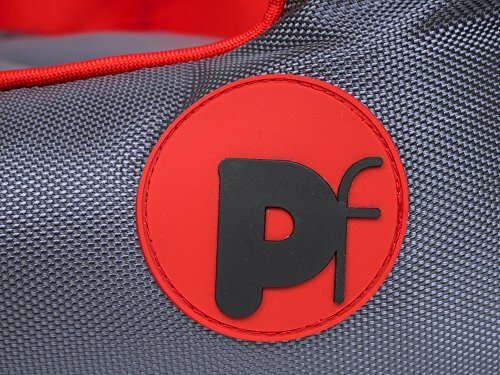 Inside cushion – Width: 76cm/30″ x Depth: 58cm/23″. 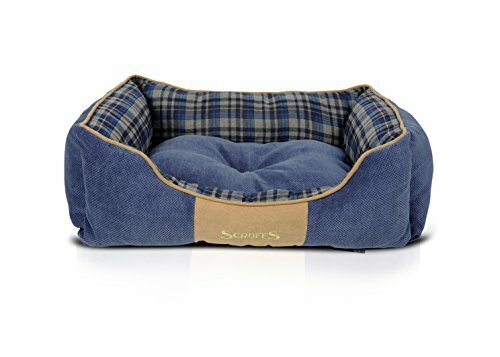 Square Large: Bed – Width: 67cm/26.5″ x Depth: 58cm/23″ x Height: 24cm/9.5″. 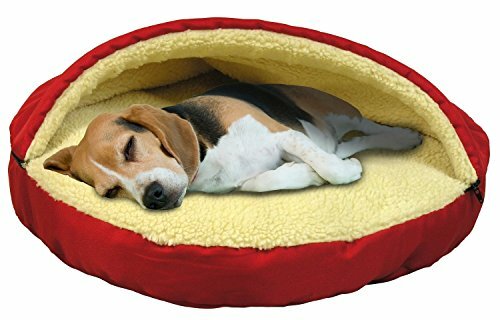 Inside cushion – Width: 65cm/25.75″ x Depth: 41cm/16″. Square XL: Bed – Width: 88cm/35″ x Depth: 71cm/28″ x Height: 26cm/10.5″. 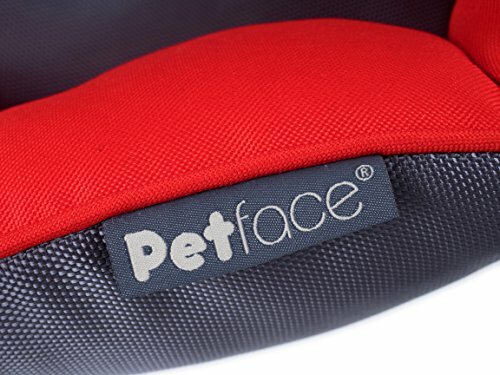 Inside cushion – Width: 85cm/33.5″ x Depth: 54cm/21.5″. Square XXL: Bed – Width: 98cm/38.5″ x Depth: 83cm/32.75″ x Height: 33cm/13″. Inside cushion – Width: 97cm/38″ x Depth: 76cm/30″. 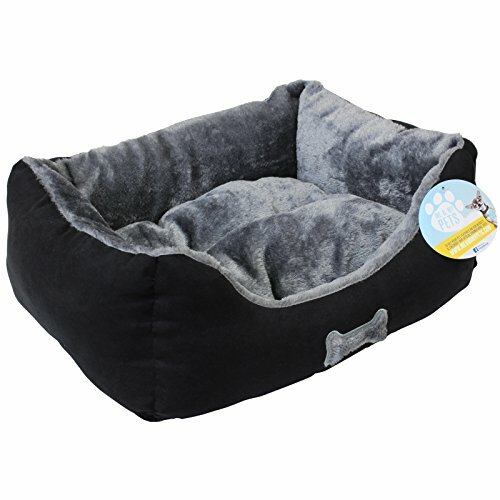 Square Large: Bed – Width: 67cm/26.5″ x Depth: 58cm/23″ x Height: 24cm/9.5″. 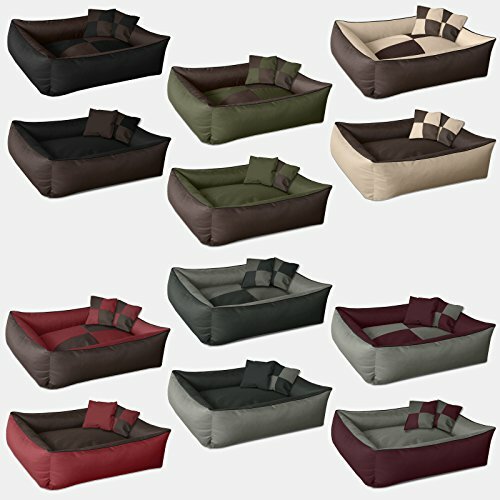 Inside cushion – Width: 65cm/25.75″ x Depth: 41cm/16″, Square XL: Bed – Width: 88cm/35″ x Depth: 71cm/28″ x Height: 26cm/10.5″. 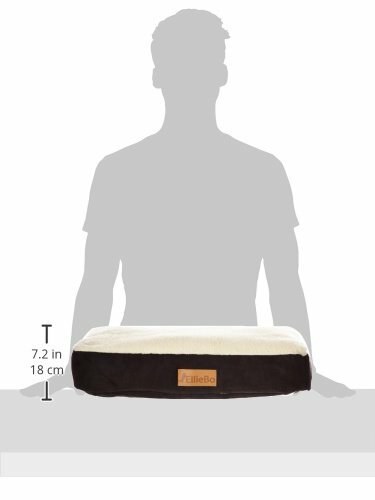 Inside cushion – Width: 85cm/33.5″ x Depth: 54cm/21.5″ or Square XXL: Bed – Width: 98cm/38.5″ x Depth: 83cm/32.75″ x Height: 33cm/13″. Inside cushion – Width: 97cm/38″ x Depth: 76cm/30″.